Coach Jesse Waters is the Director of the Baseball Camp. He was head baseball coach of Hastings high school for 14 years, before being named varsity head coach at his Alma Mata, Eastchester. At Hastings, his team won three league titles, two section championships and was named three time coach of the year. After high school, Jesse played baseball at Concordia College. Coach Jesse’s love for the game of baseball and teaching is only surpassed by his understanding of young people. Coach Dom Cecere, Jr. Coach Dom is entering his 23rd year as a coach at the Eastchester Summer Baseball Camp. He is a former assistant baseball coach at Eastchester High School, former head baseball coach at Hastings High School where he was named league coach of the year (2 times), is a former Director of the Summer Trails baseball camp. Coach John D'Arco Sr.: Former coach at Eastchester and Tuckahoe High Schools for 33 years, coached his Tuckahoe Baseball Program to two NY State Championships and also guided the Tuckahoe Football Program to two NY State Championships and attained Coach of the Year Honors in Football (twice) and Baseball. Coach John D'Arco Jr: Former assistant varsity baseball coach at Tuckahoe High School where he was instrumental in guiding the “Tigers” to two NY State baseball championships. This will be his 22nd year as a camp coach. Coach Vincent Todino: Assistant varsity baseball/football coach at Eastchester High School and former head coach of College of Mount Saint Vincent baseball. Coach Joe Utschig: Head modified baseball coach at Eastchester. Coach U is a graduate of Westlake high school where he was a four year starter for the varsity baseball team. He went on to play baseball at the College of Mt. Saint Vincent and is currently a P.E. teacher at both Eastchester middle and high school. Career record of 24-6. John has 15+ years of instruction in baseball camps, clinics and private instruction. A maximum of 40 campers per age group will insure thorough instruction in all phases of the game. A camp shirt is included and refreshments will be available. Camp flyers are available at Town Hall Recreation Department, the Tuckahoe Community Center, EHS Athletic Department, Garth Road and Saggese Field (during the season). Eastchester Summer Baseball Camp is open to children ages 8 through 17 for a cost of $400 per 2-week session or $700 per 4- week session for Eastchester, Bronxville or Tuckahoe residents or $450 per session for non-residents. Additional one-week session, after participating in a 2 week session will be $175 per week. Baseball Camp is available on a first come, first serve basis. There is a $25 fee for all refunds. All rain dates will be made up. 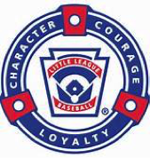 All registration will be on-line at http://www.eastchesterll.org/page/show/2984123-registrations – under the Registrations page tab - 2019 Eastchester Baseball Summer Camp. The Registration "Summer Baseball Camp" is not currently available.